I never thought I would say this about a laundry detergent but I absolutely love Purex Complete 3-in-1 Laundry Sheets. It makes the chore of washing clothes so much easier ! So easy I have taught my 13 yr old how to wash his clothes and I do not have to worry about him making a mess, using to much or not enough like I would if we still used liquid detergent. Purex Complete 3-in-1 Laundry Sheets are a load’s worth of detergent, softener and anti-static all in one powerful sheet. 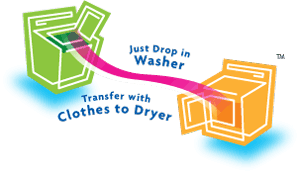 Put your clothes in the washer and add a Purex Complete 3-in-1 sheet. Turn the washer on. When finished washing, take clothes out of the washer (including the Purex sheet) and put it all into the dryer. Turn the dryer on. When dry, put your clothes away, and throw out the used Purex Complete sheet. 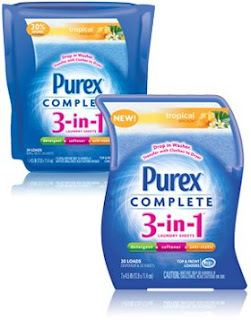 Purex Complete 3-in-1 Laundry Sheets come in three scents and are available in two package types – a Starter Kit (1 Dispenser + 20 Laundry Sheets) and a value Refill Pouch (24 Laundry Sheets). The Starter Kit includes a refillable Dispenser that makes it simple to protect and access Purex Complete 3-in-1 Laundry Sheets. Once you have the Dispenser, simply purchase the money-saving Refill Pouch to fill the convenient Dispenser. Spring Oasis - A nature-inspired fragrance with fresh citrus and flowers, like a clean morning breeze. Tropical Escape - Island-inspired watery clean scent with a hint of exotic fruit freshness. Pure & Clean - 100% hypoallergenic with a subtle fresh, clean scent. Perfect for people with sensitive skin. The Purex Complete 3-in-1 Laundry Sheets has become the only laundry product my family needs and is a regular on my shopping list ! I absolutely refuse to use anything else. I started buying these about a month ago, and I won't go back to my old detergent and dryer sheets. I can't believe how good my clothes smell after a trip through the washer & dryer with the Purex 3 in 1 sheets! I absolutely LOVE the Laundry Sheets. So simple! They work so well too! This look very intriguing. I've seen them reviewed on other sites...I just may have to try them out. 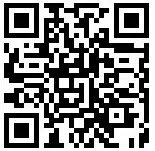 Smell good and simple? That's my kind of laundry product! It's good to hear a review of this product. I have never used it but it looks so simple and obviously you were impressed with it! That goes a long way when considering whether or not to try an unfamiliar product.